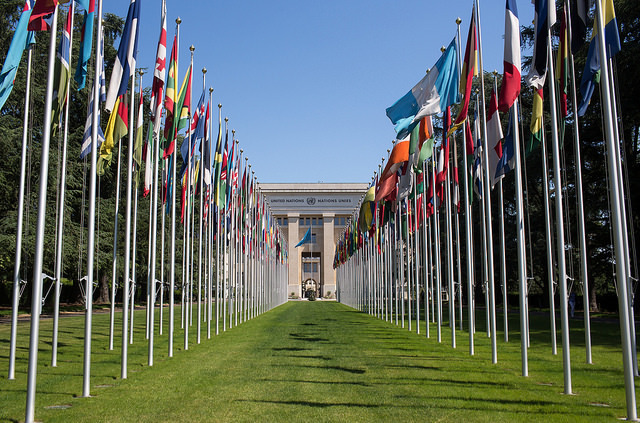 China underwent its third Universal Periodic Review (UPR) at the United Nations in Geneva on Tuesday, November 6, 2018. The review took place in the context of a mounting volume of reports since 2017 on the massive internment of ethnic Uyghur Muslims in Xinjiang—estimated at 1 million, out of the area’s total Uyghur population of 11 million—into what the authorities call “re-education” camps. In August 2018, when questioned about the detention and the camps during China’s review by the UN Committee on the Elimination of Racial Discrimination (CERD), Chinese officials flatly denied the existence of these camps. In October, Chinese authorities admitted that the camps do exist but justified them as “vocational training centers” where “thought transformation” is conducted to combat extremism. Reports in September and October 2018 further indicate that a campaign is underway to transport Uyghur detainees out of Xinjiang into other regions of China, and to transport inmates from prisons elsewhere in China into Xinjiang. The Law on Management of Foreign Non-Governmental Organizations in the Territory of Mainland China《境外非政府组织境内活动管理法》(the FNGO Law), in effect since January 2017, has severely curtailed foreign NGOs’ role in supporting civil society organizations in China. Since the constitutional amendments, the authorities have intensified a campaign to require all state institutions (including the courts), professional sectors (legal, academic, news and media, business, etc. ), and all of civil society to submit to the Communist Party of China and its ideology as the guiding authority in all of their work and deeds. As of October 30, twenty-three UN member states have submitted their advanced questions to China.